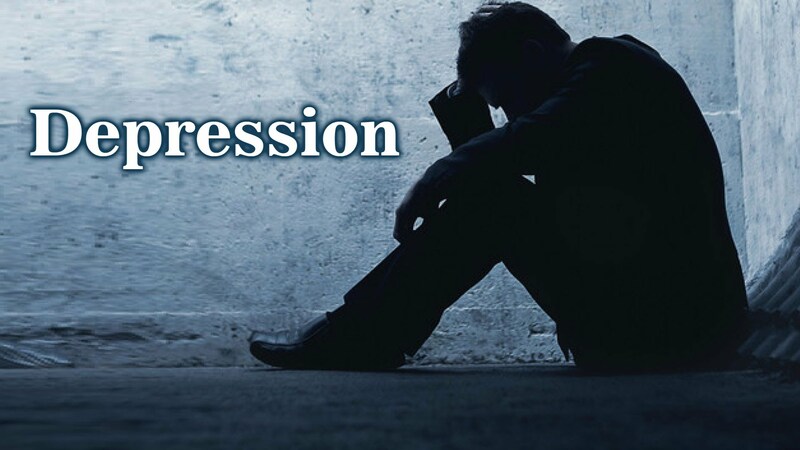 Depression is a mood disorder which makes an individual feel irritable and sad, accompanied by general lack of enthusiasm for normal life activities. In severe cases, depression can be accompanied by suicidal thoughts and self-neglect. Depression can come and go, but for some, it can be a years-long battle with persistent depression. If someone close to you develops symptoms consistent with depression, the first thing you can do is speak with a psychotherapist or physician to get a proper diagnosis or determine the underlying cause. Conventional treatment options are a combination of prescription medication and psychotherapy. The medication is supposed to balance out neurotransmitter concentrations in the body – dopamine, norepinephrine and serotonin. Some of these treatments have adverse effects including blurred vision, dry mouth, weight gain or loss, sexual dysfunction, dizziness, and drowsiness among others. Exercising daily increases your production of endorphins, natural mood-enhancing compounds in the body. Endorphins are more likely to be released by participating in moderate to high-intensity aerobic sessions, such as swimming, running, bicycling, long-distance rowing, cross-country skiing and playing sports like soccer, football or basketball. Outdoor exercise is preferable as you can take in the sun and fresh air in the process. Having key dietary nutrients can help to improve your disposition and these should be taken in moderation. You should have adequate carbohydrates for manufacture of serotonin, though this should consist of moderate amounts of complex carbohydrates rather than simple refined sugars/processed carbs. Serotonin levels can also be enhanced by consumption of dairy products, turkey and salmon. Avoid alcohol and caffeine if you’re suffering from depression, as they are powerful central nervous system stimulants. Foods that trigger allergic reactions or sensitivity should also be avoided, since the can trigger depression response in the brain. A good ideal may be to maintain a diary of your food intake and the corresponding mood changes. If you do this for two weeks, you may see a pattern developing and identify which foods may trigger feelings of fatigue, lack of focus or sadness in your body. Have small frequent meals which include carbohydrates, proteins and essential fat to prevent hypo-/hyper-glycaemia whose symptoms can mimic depression symptoms. Foods rich in vitamins and minerals should be consumed in large amounts daily. Some natural supplements have been shown successful in treatment of depression symptoms. These include S-Adenosine Methionine, 5-Hydroxytryptophan, St. John’s Wort and combinations that include vitamins and minerals. For all supplements, consult a physician or nutritionist, especially if you’re taking other medication. St John’s wort has been widely studies for depression, and it demonstrates a significant advantage over the placebo in a number of systematic trials. It also has fewer side effects the pharmaceutical interventions. SAMe is also effective for mild cases of depression, with fewer side effects than conventional treatment drugs. 5-HTP occurs in come foods naturally, but can be taken as a supplement for more powerful effect. The author is an extensive and passionate researcher of alternative treatments including herbal medicine. In his work, he has discovered many useful herbal treatments, and has shared many articles on health and wellness. Click here to find out more about high quality kratom products and purchasing options.